Welcome to Charming Old Denver! The VIBE of Central Denver! 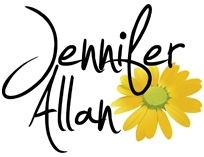 I’m Jennifer Allan and I've lived in Charming Old Denver since 1994 and have sold real estate throughout the urban core since 1996. While I've always been a fan of the city, it took getting out of town for a few years to truly appreciate what a fantastic place we call home here in Denver. We have it all here...a thriving economy, a vibrant night-life, diverse shopping opportunities...all the amenities you expect from a big city. But Denver is… special. You feel it as soon as you drive into town or exit your airplane. Denver-ites are friendly, healthy, educated, tolerant and darned interesting to talk to. We give directions using the words "North," "South," "East" and "West" instead of "Left" or "Right" because our spectacular Rocky Mountains are always in view. We have four distinct seasons, yet rarely suffer from extreme temperatures. Yes, it snows, but our 300+ days of sunshine and relatively mild winters keep the snow from accumulating and getting dirty. If there's snow on the ground, it's usually fresh and white! Whether you're already a Charming Old Denver homeowner or would like to be someday, thank you for allowing me to share my beloved city with you.